in hand by A.I. Topham since 1921. This arable farm is well suited to modern farm machinery. THE LAND The land has been cropped under arable cultivations with a mixed winter and spring cropping rotation. The land within Lots 1 & 2 is shown as Grade 2 & 3 on the Agricultural Land Classification maps with the soil type being part of the Denchworth, Efford 1 and Evesham 3 series. 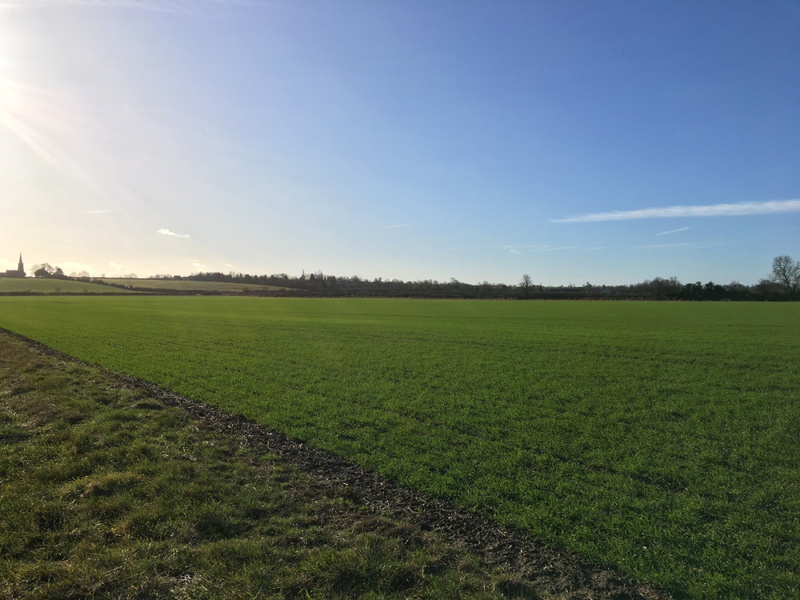 The farm comprises 11 field parcels with the average field size being 7.75 Ha (19.15 Ac) and the largest field being 17.76 Ha (43.88 Ac). The total farm area is 85.24 hectares and the Landlord will retain control and management of the Higher Level Stewardship areas until 31/10/2020 as identified coloured green on the attached plan. The farm has benefited from a land drainage scheme to much of the land. Copies of the plans are available in the information pack. The farm also benefits from roadside accesses to all fields. Lot 1 is accessed from Great Staughton Road and Green End. Lot 2 is accessed from Spring Hill. BASIC PAYMENT SCHEME The Landlord will submit the 2018 BPS claim and will receive all income from the claim. Prior to 15th May 2019, the Landlord will transfer 85.24 Ha of entitlements to the ingoing Tenant/72.28 Ha of entitlements in relation to Lot 1 and 12.96 Ha of entitlements in relation to Lot 2. At the end of the tenancy, the Tenant(s) will transfer back all entitlements at no cost to the Landlord or his nominee. As the Landlord will be retaining the Higher Level Stewardship scheme income, they will submit the Natural England annual claim form. 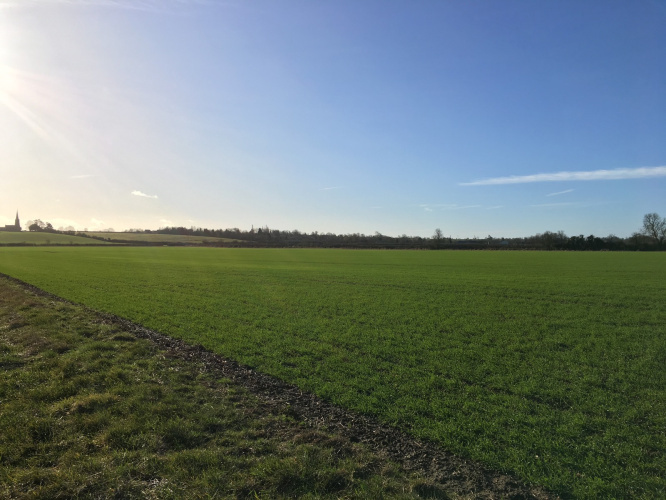 The Tenant(s) will submit the Basic Payment Scheme claim as permitted under the dual claim rules over the area of 85.24Ha or 72.28Ha in relation to Lot 1 and 12.96Ha in relation to Lot 2. ENVIRONMENTAL STEWARDSHIP The farm is subject to a Higher Level Stewardship (HLS) agreement (AG00308816) which expires on 31st October 2020. The Landlord will continue to claim and undertake the HLS management requirements on the farm until the expiry of the agreement. a beetle bank option (HF7). The ingoing Tenant(s) will indemnify the Landlord against any breaches of the agreement caused by them from the date of commencement. 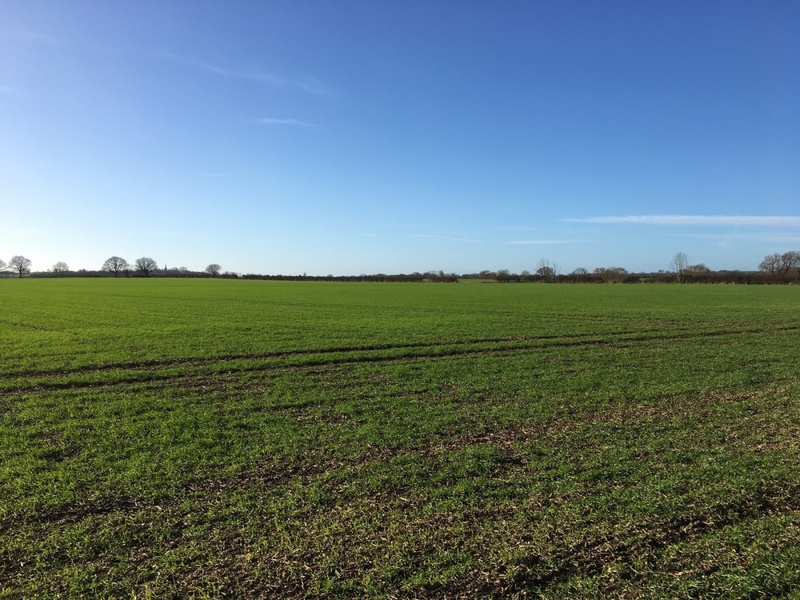 The ingoing Tenant(s) will be permitted to enter into a new Countryside Stewardship Scheme subject to the Landlord's consent which will not be unreasonably withheld. NITRATE VULNERABLE ZONE The farm is designated as being within a Nitrate Vulnerable Zone. The incoming Tenant(s) will be required to adhere to all NVZ regulations. PUBLIC RIGHTS OF WAY The farm has permissive footpaths within fields TL0864 4383 & TL0865 4211 as identified on the farm plan. These currently form part of the Higher Level Stewardship agreement and will remain in place following expiry of the HLS agreement. There are no other Public Rights of Way crossing the farm. PRIVATE RIGHTS OF WAY The Landlord will reserve a private right of access across the farm for themselves and anyone permitted by them to access the farm. The Landlord will have right of access for their own enjoyment and for conducting the requirements of the HLS agreement. RESERVATIONS The Landlord reserves the right to bale and remove the straw from the holding for the 2018 harvest. BUILDINGS There are no buildings to be included within the Tenancy. WAYLEAVES & EASEMENTS The Landlord will retain all wayleave and easement payments as they affect the farm. Field TL1063 6778 forming part of Lot 2 is crossed in the North Western corner by a gas pipe line. Field TL0963 5769 forming part of Lot 1 is crossed by a redundant government oil pipeline. SPORTING AND TIMBER RIGHTS All sporting and timber rights are to be reserved by the Landlord. OUTGOINGS The Tenant(s) will pay for all drainage and water rates. The farm lies within the Anglian Central area with drainage rates payable to the Environment Agency. a) The Tenancies will be granted to an individual who will be personally responsible for farming the land (either on his own account or as a partner or Director of a farming business). b) The Tenancies will commence on 29th September 2018 with both Lots 1 and 2 being let for a term of 3 years. c) Rent to be payable in two equal instalments per annum in advance, with the first payment to be made on the signing of the agreement and subsequent payments on 25th March and 29th September each year. d) The rent will be fixed for the initial 3 year term, with rent reviews every 3 years thereafter. e) The Tenant(s) will be required to crop the holding, in accordance with Cross Compliance standards. No Genetically Modified or Maize crops are to be grown on the holding. No root crops are to be grown on the holding in the last year of the tenancy. g) The Tenancy is let on a full repairing basis. Tenancy. i) There will be no Tenant right payment by the ingoer and there will be no right for the ingoer to receive dilapidations, if any. j) The Tenant(s) shall not be permitted to sub-let or assign or share possession of the land with any other party. k) The Tenant(s) will be required to use the land solely for agricultural purposes. l) The Landlord will reserve the right to resume possession on part of the holding on which planning consent is granted, subject to serving 12 months' notice. m) The Landlord will retain management and receive all payments from the HLS agreement and the tenant will not do anything to interfere with these areas. n) The Landlord will be responsible for hedge cutting untill the end of the HLS agreement. EARLY ENTRY The successful Tenderer(s) will be permitted to take early entry in order to prepare for the 2019 crop at their own risk. If early entry is taken then the Tenderer(s) will indemnify the Landlord for any breaches of Cross Compliance Standards under the Basic Payment Scheme and any breach of HLS management options. RECORD OF CONDITION Prior to entry, a photographic record of condition will be taken of the farm. VAT The Landlord reserves the rights to charge VAT on the Tenancies. Rent for the farm is not currently subject to VAT. INFORMATION PACK An information pack will be available to view on the scheduled viewing days or at the agents offices and will contain; 2017 BPS application, BPS field maps, farm plan, soil analysis, average yields, application and cultivation records, cropping records, drainage plans, HLS agreement and draft FBT agreement. FORM OF TENDER Applicants should complete the Tender Form and return the same to the Agent's Huntingdon Office no later than 12pm on 29th May 2018. Tenders should be given for the total annual rent offered. Tenders should be for a given sum and should not be made by reference to other Tenders. No escalating bids will be accepted. Prospective Tenderers are advised to mark their tenders clearly on the outside of the envelope with the wording "Tender Re: Rectory Farm". It is suggested some other form of identification be added to the envelope so that you can check receipt at our office. The Landlord is not obliged to accept the highest Tender, or any Tender at all. Further information may be requested from shortlisted applicants including; references, three year budgets and cashflows.